This event has been cancelled due to unforeseen circumstances. 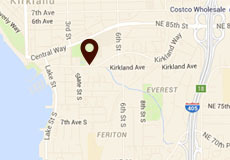 The box office will be reaching out to all ticket holders to refund or exchange tickets. Please contact the box office directly if you have questions. 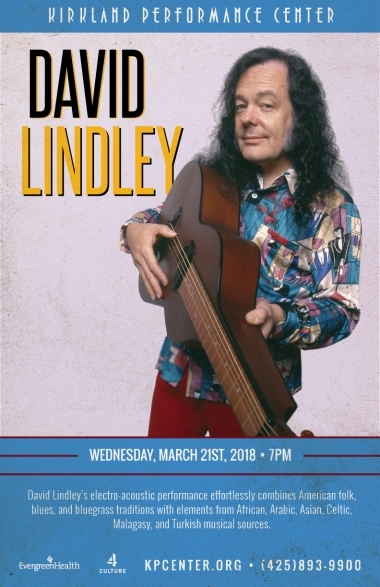 Multi-instrumentalist David Lindley performs music that redefines the word “eclectic.” Lindley, well known for his many years as the featured accompanist with Jackson Browne, and leader of his own band El Rayo-X, has long championed the concept of world music. His electro-acoustic performance effortlessly combines American folk, blues, and bluegrass traditions with elements from African, Arabic, Asian, Celtic, Malagasy, and Turkish musical sources. Lindley incorporates an incredible array of stringed instruments including but not limited to Kona and Weissenborn Hawaiian lap steel guitar, Turkish saz and chumbus, Middle Eastern oud, and Irish bouzouki. The eye-poppingly clad “Mr. Dave’s” uncanny vocal mimicry and demented sense of humor make his onstage banter a highlight of the show. David Lindley grew up in southern California, first taking up the banjo as a teenager, and subsequently winning the annual Topanga canyon banjo and fiddle contest five times as he explored the American folk music tradition. Between 1967 and 1971, Lindley founded and lead what must now be seen as the first world music rock band, the Kaleidoscope. In 1971, Mr. Dave joined forces with Jackson Browne, serving as Jackson’s most significant musical co-conspirator until 1981. In 1979, Lindley had begun working with old friend Ry Cooder on ‘Bop Till you Drop’ and ‘The Long Riders’ sound track, a musical collaboration that lasts to this day, and has spawned many recording projects and several world tours as an acoustic duo. world music scene, both for the quality of the Grammy nominated music recorded, and the fair and ethical way the Malagasy musicians were dealt with. Throughout this long and distinguished career, Lindley has been one of Hollywood’s most in demand session musicians, lending his skills to the recorded works of Bob Dylan, Rod Stewart, Linda Ronstadt, Crosby and Nash, Warren Zevon, and many others. Bootleg” compact discs, ‘Live in Tokyo Playing Real Good’ and ‘Live All Over the Place Playing Even Better’ on Pleemhead Audio.